H’mong people are an important member in the community of ethnic minorities in Vietnam with about one million people, ranked 8th among 54 Vietnamese ethnics. They often occupy the upland areas, from 800-1500m above the sea level, mostly in the Northwest and a few in the central highland of Vietnam. You can easily spot them in Ha Giang, Lao Cai, Sa Pa, Lai Chau, Son La and several other provinces. Their language family is Hmon-Mien, yet the language is a non-written one. 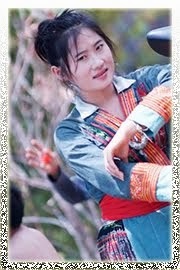 Hmong people have a very extraordinary culture that is still vividly seen today. 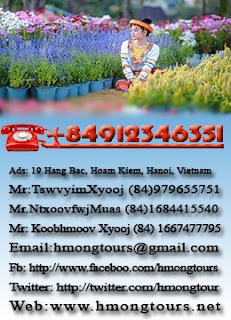 The best time to visit the Hmong is during the Lunar New Year in late January or early February - when they would celebrate the 3-day Tet festival. During the festival, they often cheerfully blow “khèn” (their special woodwind instrument), play swings and other traditional games and sing in the large yard around the village. 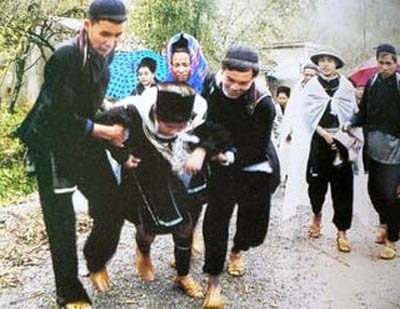 “Cướp vợ” (Stealing Wife) is another special H’mong’s custom: when a man loves a woman, he must ‘steal’ her in the darkest night and imprison her without food for 2-3 days; if the woman accepts to marry him, he will come to her family to ask for her parents’ permission. H’mong people believe that they have a common ancestor so they greatly value unity in their community. Several families gather into a cluster and has a leader responsible for common works. As for costumes, H’mong people usually wear their self-woven clothes made by linen, decorated with unique technique to express their strong ethnic characteristics. They drink corn, rice wine, smoking cigarettes using plow. Meanwhile, if you are a guest who is invited a self-loaded plow by a H’mong, you should take it as a friendly fondness.